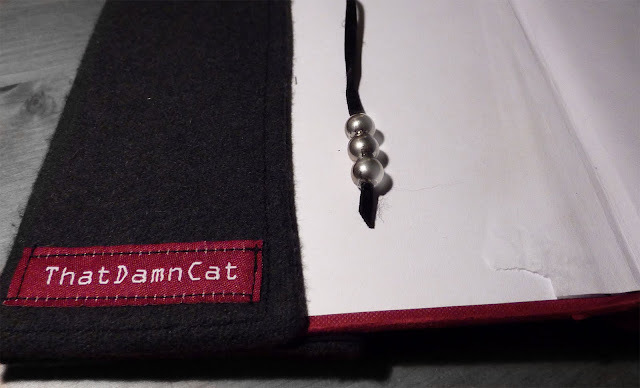 ThatDamnCat designs: Embroidered diary cover. 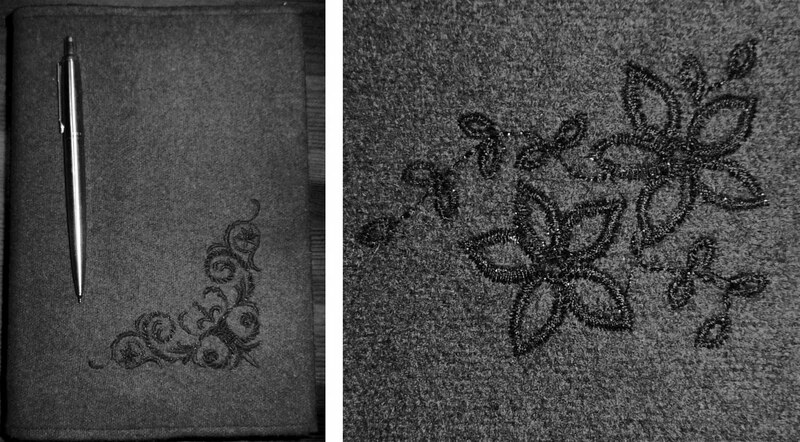 Guess what, I finally got passed my fear of embroidering with my new machine! 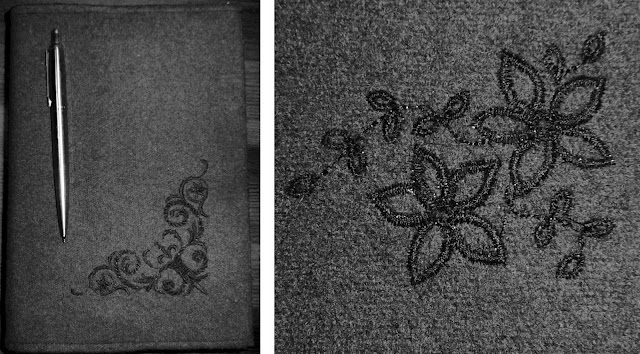 I figured that a new diary cover would be a great thing to embroider on. That way I will always carry it with me. I've been keeping an "offline" diary for years, have many books filled with scribbles, teen angst and confused thoughts about the world. But this particular book has been with me for 5 years now. One day I just decided not to write and from then on my entries became rarer and rarer. I still kept the book, though, I brought it with me everywhere. No book can handle that kind of abuse without looking sad after a while. Now my writing urge is back (Something good always comes out of bad situations), which made me make the cover. Maybe a bit of a "forgive me, sweet book for all the rips, cracks and water damage I've caused you" and hope that it will not abandon me now that I suddenly want our relationship back. I used a very dark grey fabric and black embroiderythread, giving it a subtle prettiness (It's a real word because I say so!). I got to use my fabric tag for the first time as well, woo! 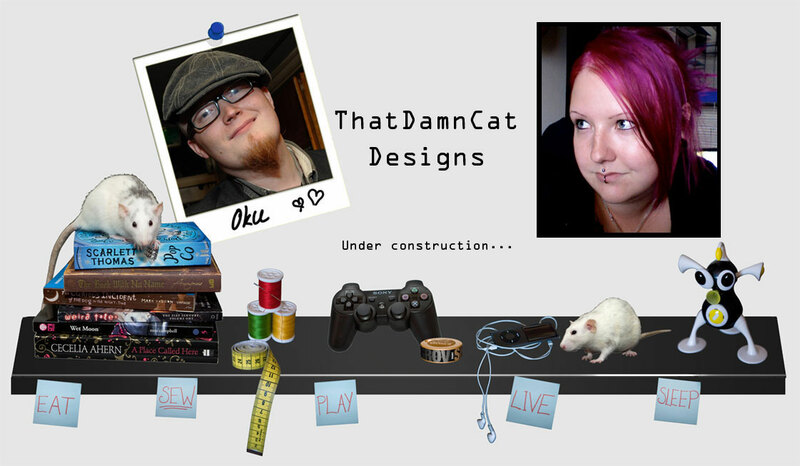 Since I have this uncanny ability of not throwing anything... anything.... I found a pretty leather lace and some heavy iron marbles that I attached as a bookmarker. Books are awesome, take care of them. Wow! Great work - I so want a sewing machine! That looks so gorgeous!! Awesome job! Can I use that great picture to do a collage?